Chris is the Owner and Director of Instruction at Leatherman Golf Learning Center. He is a Class “A” Member of the PGA of America. Chris has been teaching professionally for 28 years and has 38 years of competitive playing experience. He is a member of the PGA Presidents Council for growing the game of golf. Chris teaches players of all ages and skill levels. His teaching philosophy is based on a thorough understanding of the five basic fundamentals of golf. This simplistic approach builds the foundation for a reliable, natural golf swing which produces accuracy, control, consistency, and effortless power. Dr. Desaree Festa is a Sport & Performance Psychologist who specializes in working with professional, international, collegiate, and elite amateur athletes. In addition to UNC Charlotte Athletics, she works with the Charlotte Hornets (NBA), Roush Fenway Racing (NASCAR), and Charlotte Checkers (AHL). She is also an approved Treating Clinician for the NFL and has helped many members of Team USA or individuals training for the Olympic Trials. Dr. Desaree consults with athletes throughout the nation as well as international competitors. She is the Director of Mind Over Body at Southeast Psych and is the Sports Psychologist for Ultimate Performance Sports in Charlotte. Dr. Desaree is a 2 for 1! She is both licensed as a psychologist and certified as a Mental Performance Consultant. She possesses the highest level and most comprehensive training in order to provide the best assistance for her athletes and teams. She earned her Ph.D. in Counseling Psychology & School Psychology and received an additional master’s degree in Sport & Performance Psychology. She received both graduate degrees from Florida State University and was a doctoral intern at The College of William & Mary where she worked with athletes and college students. She is trained in biofeedback technology, both in Heart Rate Variability and the comprehensive multimodality system, which provides insights into an athlete’s psychophysiological response to stressors and training. Dr. Desaree is passionate about maximizing the whole person, both in mental performance and personal wellbeing, and does this by utilizing the latest research, evidence-based approaches, and technology. She has published empirical research and contributes to news/media programs on various mental performance and mental health issues for athletes. Her aspiration to be a Sport & Performance Psychologist started way back in high school when she discovered her two loves: sports and helping others. His passion for golf, the wealth of knowledge and communication skills allows him to teach all age groups and skill levels. Allen has taught thousands of lessons in his golf teaching career spanning almost two decades. He continues to be a student of the game himself, as he has, for over 40 years. Allen Burton, from Lake Hickory Country Club, has been named to U.S. Kids Golf’s annual list of Master Kids Teachers. The Award recognizes the world’s most outstanding youth golf instructors, and Burton is part of a select group that earned Top 50 accolades three times, making Burton a Master Kids Teacher. Jacobi Golf Inc. One Man's Game. 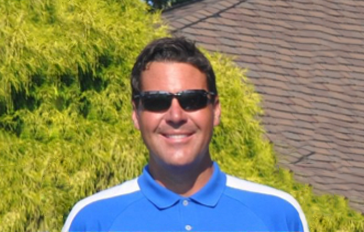 Over the past ten years, Nick has given over 7,500 golf lessons and has developed many junior and ladies programs. He has also taught three classes at the Queens University of Charlotte in their PGA Program. Nick also created the first-ever Charlotte area winter tournament series for PGA Professionals. Recently, Nick has served as swing coach for Wingate University and has just joined the staff as an assistant golf coach for Pfeiffer University. Nick is currently one of only 20 PGA Certified Golf Instructors in North Carolina. Nick takes great pride in growing and playing the game of golf. Nick was recently nominated as a candidate for 2017 Carolinas PGA Teacher of the Year. After high school, Allen went on to develop a painting company called A&J Painting. Allen quickly developed a love to help kids develop a great career in golf. Hosting the tournaments and seeing kids of all ages come out and have fun influenced Allen to take the tour to another level. His love of helping juniors is not just on the golf course, Allen has been on every position available on the board for the Boys and Girls Club for over 23 years. He also has been with the Optimist for 29 years and has served as President and Lieutenant Governor of North Carolina West Optimist District. He is an elder at Robinson Memorial Presbyterian Church and has been a part of the session for the past 6 years. When you visit Myrtle Beach, contact Marina Inn Myrtle Beach, a top luxury boutique resort of Myrtle Beach tourism located in Grande Dunes about Myrtle Beach and North Myrtle Beach condo rentals, current weather in Myrtle Beach, Grande Dunes golf course, hotel amenities and more. Our beach is unlike any of the beaches in South Carolina offering full services including transportation, chairs, towels, umbrellas, showers, changing facilities, a casual snack bar serving a variety of sandwiches and salads; beer & wine. This feature places us among the top Myrtle Beach hotels. Open seasonally from April - October. If you are inquiring about booking a reservation, wish to change or cancel or have questions about a current reservation, please contact reservations directly at reservations@marinainngrandedunes.com or call directly at 877-913-1333. 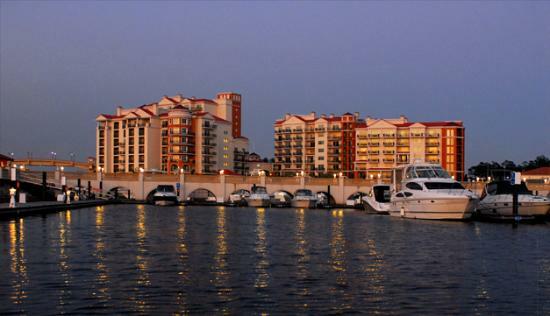 If you are inquiring about marina dock space at Grande Dunes Marina; please call the marina directly at 843.315.7777. Pets: We do not allow pets, but can recommend a reputable, nearby boarding facility. MeetThePro allows the amateur to do a search for sports, dates, and places, eg. he goes to London for a week and wants to play tennis with a Pro, the software shows him all the professionals that there are to play in that week in that location and their prices. The amateur can filter according to different criteria such as Pros that speak the language that the amateur prefers, or one that has a two-handed backhand, or that uses the same racket or maybe wants to play on a certain surface. Once the match is over, the amateur will be able to write comments on his experience on the MeetThePro site.